Welcome to summer! “Sing! Play! Summer!” is designed to help you celebrate the summer season through the twin delights of faith and music, tapping your toes and singing along to the bluegrass-and-gospel sounds of SALT’s internationally-acclaimed house band, Butterflyfish! 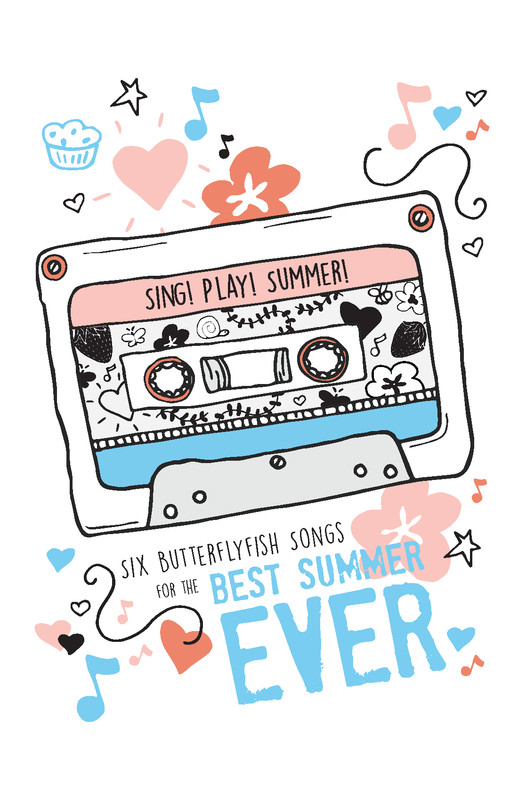 In these pages you’ll find over 50 summertime activity ideas, all organized around six Butterflyfish songs that’ll put pep in your step and faith in your heart. And don’t miss the lyric sheets at the end! Look no further: your family’s “2018 Summer Soundtrack” is here. Each song brings a biblical story or theological idea to life, making it a springboard (or summerboard!) for activities individuals, families, congregations, and children of all ages can enjoy. So kick off your shoes, lay under the stars, or gather round the campfire: music is one of God’s greatest gifts, and this summer is the perfect time to savor it. Happy singing, playing, and summering!